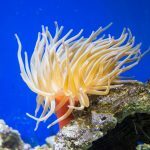 In an enormous new publication cataloging the taxonomy and classification of anemones and corallimorphs (all 1,100 or so species of them), several common aquarium species have been given some new nomenclature. Compiled by one of the world’s leading authorities on the group, Dr. Daphne Fautin of the University of Kansas, this actiniarian magnum opus is truly monumental in scope, totaling nearly 450 pages. This one is certainly not for the faint of heart, as it is absolutely full to the brim with pedantic taxonomic minutiae, but I’ve gone ahead and parsed through this beastly work to find all the interesting nuggets of concern to aquarists (you’re welcome). 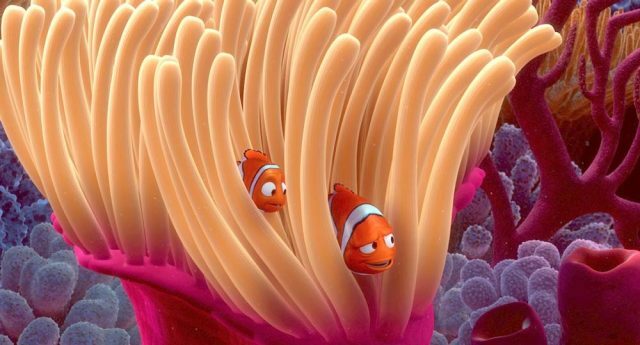 The intense purple coloration is certainly a rarity for Long Tentacle Anemones which are typically green. Clownfish relish hosting this anemone so it is no wonder why this is one of the three most popular anemones in the aquarium trade. It will bury its foot up to the oral disc and does best in deeper sand beds. One of the most surprising of these moves was the relocation of the familiar Long-tentacle Anemone from Macrodactyla to Condylactis doreensis. 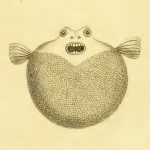 This makes some intrinsic sense, as these heavily betentacled creatures have some clear similarities to their smaller white relatives in the Atlantic. The reason for this move can be traced to a group of beetles (the rose chafers) that shares this generic name, and, since it was first used for the beetle, this name is no longer valid for the anemone. My Facebook Page: https://www.facebook.com/coralfish12g My Instagram Page: https://instagram.com/coralfish12g/ Frost Nguyen AznNutty’s SaltwaterConnections https://www.facebook.com/Aznnutty SaltwaterConnections@hotmail.com These are beautiful rock flower anemones. Frost Nguyen had these at his vendor booth at the CMAS Frag Swap in Chicago. Rock Anemones, which regularly appear on fresh imports of live rock and come in many colorful varieties in both the Caribbean and Indo-Pacific, are confirmed to belong to Phymanthus, not Epicystis. This has been known for a while, but, as evidenced by a quick Google search, most aquarium references have this backwards. Radianthus has been treated as a junior synonym of Heteractis, home to many of the commonly seen large anemone species in the aquarium trade, such as H. aurora, H. crispa, H. malu and the spectacular H. magnifica. In the past, this latter species went by the name Radianthus ritteri, which you’ll still see referenced in one of the common aquarium names for this creature—the Ritteri Anemone. A couple more species were added to this genus, formerly known as Antheopsis malayensis and Antheopsis australensis—little information exists for either of these, and it’s not clear what either looks like or even if these are legitimate species. Other taxonomists have put forth a different opinion on this genus, suggesting that the Beaded Anemone Heteractis aurora, whose tentacles are arranged in circles (vs. longitudinal rows) and are covered in distinctive swollen protuberances, is the only true member of this genus (in fact, belonging to a separate family), with the others belonging in Radianthus. To date, this has not been investigated with any genetic data. 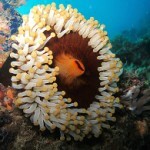 This is “Discosoma sanctithomae” by Aquadico on Vimeo, the home for high quality videos and the people who love them. In the world of corallimorphs (“mushroom corals”), the small, smooth species common to the aquarium trade are confirmed as belonging to Discosoma, not Actinodiscus. These two are often treated somewhat arbitrarily and interchangeably by many aquarium resources, but the latter name is now just a junior synonym. In addition, the ever popular Caribbean species with inflated discal tentacles (formerly known as Discosoma sanctithomae) is now recognized as Rhodactis osculifera. 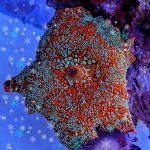 The little orange corallimorphids that hitchhike into reef tanks are now all treated as being in Corynactis, though this likely needs to be confirmed, as this has been argued against by other researchers. And, lastly, the unusual Elephant Ear Mushroom, formerly known as Rhodactis mussoides, is now placed in its own genus (the confusingly named) Platyzoanthus.